Mun’im Sirry’s academic interest includes political theology, modern Islamic thought, Qur’anic studies, and interreligious relations. He is an Assistant Professor in the Department of Theology with additional responsibilities for the “Contending Modernities Initiative” at the Kroc Institute for International Peace Studies. 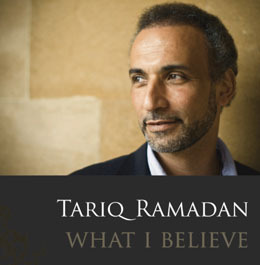 He has his PhD in Islamic Studies from the University of Chicago Divinity School with a dissertation entitled “Reformist Muslim approaches to the Polemics of the Qur’an against Other Religions.” His publications have appeared in several peer-reviewed journals, including Arabica, BSOAS, Interpretation, Islam and Christian-Muslim Relations, Journal of Semitic Studies, Journal of Southeast Asian Studies, The Muslim World, Studia Islamica, and Die Welt des Islams. His most recent book, Scriptural Polemics: The Qur’an and Other Religions, has just come out from Oxford University Press. Dr Sirry is currently developing a project within the framework of the “Contending Modernities” exploring the conditions for the possibility of peaceful co-existence in a plural society like Indonesia. He also serves as an editorial board member in the following journals: Studies in Interreligious Dialogue, al-Bayan: Journal of Qur’an and Hadith Studies, Indo-Islamika, Journal of Journal of Indonesian Islam, and ‘Ulumuna: Jurnal Studi KeIslaman.